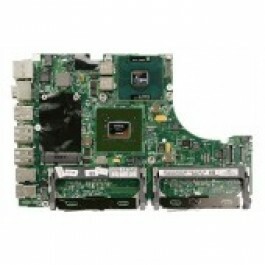 Product Details : Macbook 13" 2.0Ghz A1181 Logic Board. These boards are in great condition, tested, fully working. All parts are tested for 48hrs before shipping out. We test for all the ports and peripherals functionality and passed the Apple Hardware Test. Free installation if send in whole computer or walk-in. We highly recommend to bring in your Mac for a free diagnostic if your unsure of the problem or have difficulty with installation. Please verify the part before ordering. If you have any question, please contact us. Installation Service : Free installation and Free Diagnostic if send in whole computer or walk-in. We highly recommend the free diagnostic if you're unsure of the problem or have difficulty with installation. Trade-in : Return your old part and receive a $50 refund to your Paypal. Let us know if you're interested in getting a USPS prepaid return label, and we will send it along with your order or it email to you. If you have question, please call us anytime during business hour. Return Conditions : 1) No attempted repaired. 2) No major liquid spilled or burned, minor spill is OK. 3) No cracked, bented or damaged. Rejected board will be send back at your expense or we will recycle it responsible. We specialized in Apple parts and services and electronic component level repair. So, if you can't find what you're looking for, please contact us. 1-800-622-7977 or visit us at www dttservice com. Import duties, taxes, and charges are not included in the item price. These charges are the buyer's responsibility.